So today I bring you this outfit, worn on a busy day after our comeback. (busy to say the least...office, meetings out of the office, pictures, and so on). Um look giro. Essa mala dava jeito por aqui! Mesmo fancy. Já sabes que não posso ver essas sandálias, adoro-as! Esse blusão da tua loja está muito giro, fez toda a diferença no visual. E tu ficaste uma gata nestas fotos, acho que o excesso de trabalho "cai" lindamente em ti. Love the long dress & denim jacket mix. estas guapisima, un look espectacular, el bolso me ha enamorado! Muchas gracias por tu comentario amor, te espero por mi nuevo post, besitos!! me encanta el look, estas preciosa, el bolso me encanta! Oh hello, gorgeous! Esse vestido é lindo, e o branco fica-te tão bem! Love your whole look! Great styling! Oh my gosh this jacket! I'm obsessed! Mas quero mais looks do Brasil, por muito parecidos e descontraídos que possam estar! really amazing!! this jacket is so perfect. what a beautiful and unique denim jacket! never thought gold sandals and a denim jacket would go so great together. you look fantastic! Gorgeous! Love your boho look. Uau o vestido é super giro! I'm so in love with maxi white dresses and this one is really wonderful! Great choices of accessories also! Stunning look! Gorgeous look and love the white maxi dress. I love how you pair the gold sandals with the denim jacket. Very nice! You look stunning . Love how you styled this look , simple yet very chic. O blusão é um mimo! 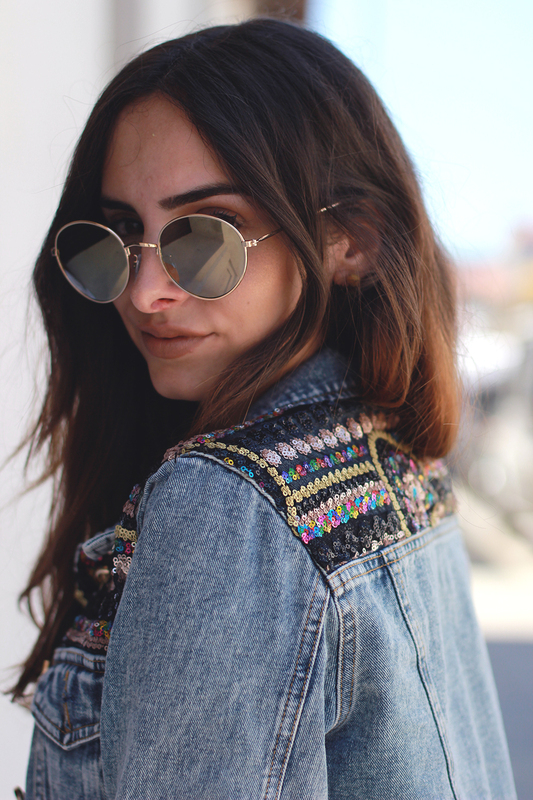 Very beautiful look with the denim jacket! Beautiful maxi! Love how you styled it casually...although I can see it looking just as great all dressed up!